I have been drawing since I was very young even before starting kindergarten, but I began studying art in college. 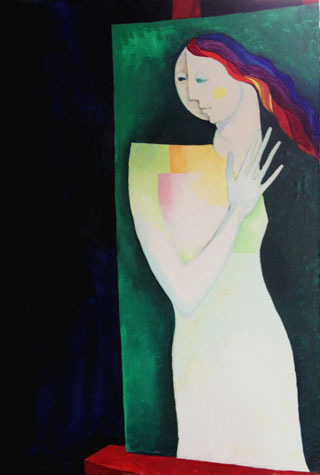 Like other art students, my work went through many different periods including representational still life and cubism; however, it all lead to my artistic home: figurative expressionism. In my paintings, exclusively done in oil, I create figures that express the universal feelings of loneliness, hopelessness, and despair. 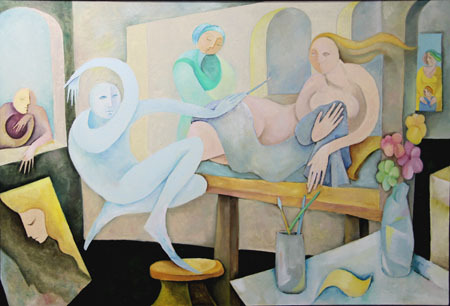 While I generally use limited palettes of grays and earth tones of blue and brown to create dark and almost foreboding atmospheres that emphasize these feelings, there have been a few exceptions in this body of work with a lighter expressive tone and where pure or nearly pure color is used - most notably after the death of Chagall. 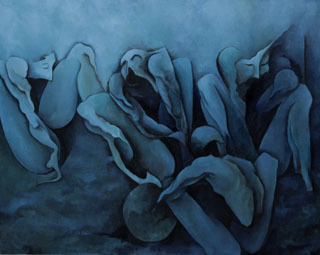 The figures in my work are generally incomplete existing in dark, cave-like landscapes or infinite voids of darkness. 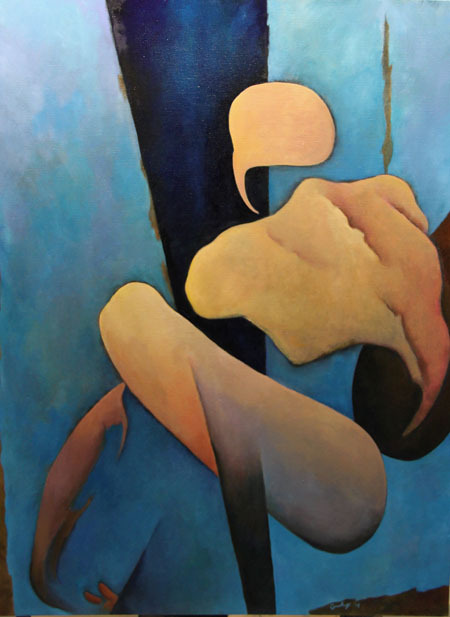 The powerful impact of these paintings derives from the use of color and the juxtaposition of the arms, thighs, legs, and torsos with the sculpture-like quality of their rendering. 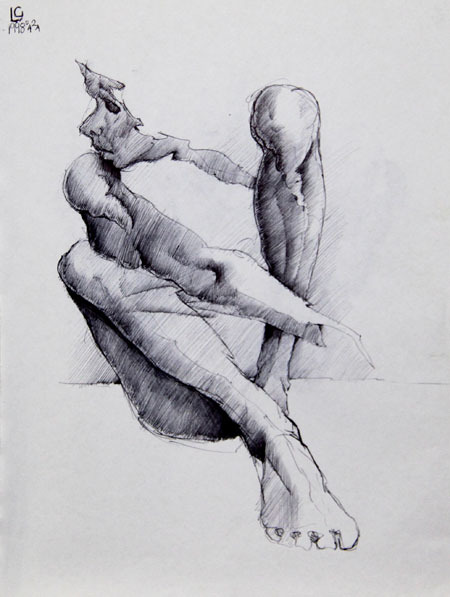 In the ink and pencil drawings, a small selection of which appears here, the figures are as powerful and sculptural in appearance as those in the paintings. This is a direct result of the modeling often created by a multitude of very closely spaced paralllel lines that recalls the work of many of the old masters. You can easily imagine the tortured figures in my drawings and paintings populating Michelangelo's Last Judgment.